LED lights have many attractive applications for convenience stores and gasoline stations. 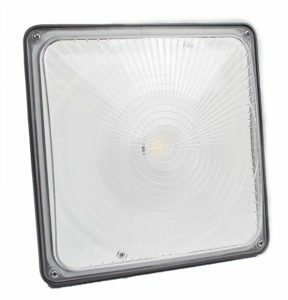 LEDs can be used for recessed lighting, refrigeration lighting, retail spot-lighting, under-cabinet lights, and exterior fixtures, such as signs and fuel pump canopies. LEDs give off minimal heat and reduce glare while using significantly less energy and providing many years of maintenance free concerns. For store owners looking for a competitive edge, LEDs also significantly improve the look of a store. Many customers have commented on how a store looks brand new or cleaner after a store has undergone an LED upgrade. With most convenient stores operating on a 24/7 basis, decreased maintenance costs and energy savings gained over the lifespan of the lighting are a significant advantage to store owners. Convenience stores are faced with unique security concerns. A quality LED solution can enhance your existing camera system as well. Swapping traditional lighting with LED lights significantly cuts energy consumption in a standard refrigerated case. The case also looks better because LED lighting is not affected by cold temperatures the way fluorescent light does. That improves in-case merchandising and also creates a better-lit, safer environment for employees working in walk-in coolers and freezers. higher quality lighting environment with improved performance and security.